We hosted one of our favorite singers for an intimate show at The BTS Center. 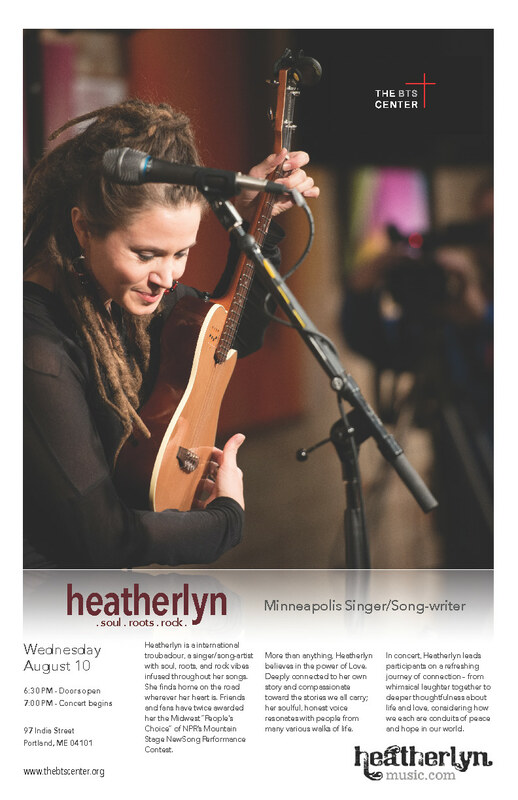 People enjoyed an evening with friends, listening to Heatherlyn’s soulful voice through her thoughtful songs, stories, and poetry. For a listening preview, click here.